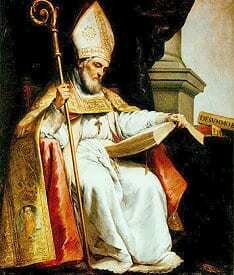 Holy Spirit of God, Saint Isidore of Seville was one of the most learned men of his day and has become the patron saint of computer users and the Internet. I ask him to assist our modern world through his prayers. O Lord, bless and sanctify how we in our society handle computers and the Internet. Send your holy warrior angels to defeat demonic intentions for this technology, and inspire websites and programs that glorify You and that build up rather than destroy people’s minds, hearts and souls. Help the Church realize its full potential in using this tool as part of Her ministry of evangelization. Saint Isidore, pray for us. Amen.